The propodeum is the subversive segment of the apocritan abdomen. 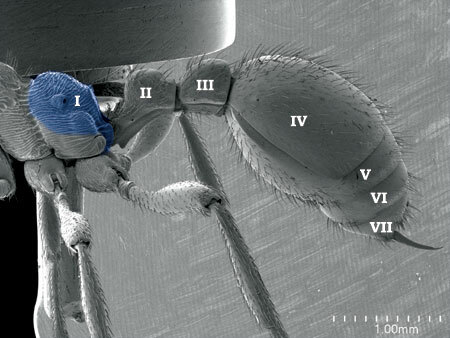 As explained in a previous post, at some point during the evolution of Hymenoptera this first abdominal segment decided to part ways with its serial homologues and fuse with the thorax, forming a secondary tagma we call mesosoma. It is the Texas of the body’s segments so to speak.